Groundhog Day 2019 Results: How To Watch Live Stream Online? Did Phil See His Shadow? Groundhog Day 2019 Results: The time has finally arrived. Here’s how you can watch the live streaming online of whether a groundhog emerges from a hole today or not. The world is eager to know if there are still six more weeks left for the winter season or if the Spring season can start. Every year, this day is observed on date February 2 in the United States and Canada. You will find all relevant information regarding watching the bizarre weather predictions and live stream. The first groundhog day was observed officially on February 2, 1887, at Gobier’s Knob, Punxsutawney. The US newspaper editor Clymer Freas referred Phil as America’s official groundhog meteorologist. It’s an age old tradition. According to this 130-year-old tradition, if Phil (a groundhog, a rodent from the marmota squirrel family) emerges and sees his own shadow, he will get back to his hole/den again. It will signify that the winter is going to last for six more weeks. If that doesn’t happen (due to cloudy days, it means that spring will arrive early this time. People in large numbers visit Punxsutawney to witness the century-old bizarre tradition. And thousands around the world watch it online. If you are one of those who couldn’t make it to the place by flesh, then you don’t need to worry as we have a solution for the same. Don’t fear missing it out. You can catch the latest updates of the groundhog fun. This event in Pennsylvania takes place about 80 miles northeast of Pittsburgh. It starts at 11 am GMT. You can watch the official stream of the whole event on the official website of Pennsylvania. Just after a while, the internet will be flooded of the celebration videos of Phil making the incredible predictions. Though Groundhog day is widely observed, it’s still not a public holiday. However, it still manages to pick up widespread attention from the fans worldwide. This folk-tradition was recognized worldwide in 1993 when it was featured in a film of the same name and starred Bill Murray and Andie McDowell. It is shocking that despite Phil has got the worldwide reputation, the groundhog only makes a right prediction about 20 percent of the time. So, it’s still not a reliable source of checking and prediction nature’s game of seasons. 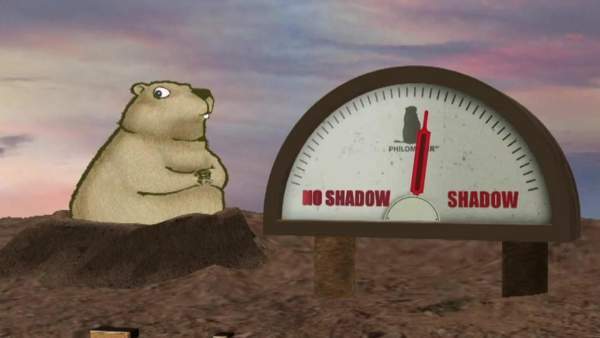 Going for the fact as stated in the Groundhog Club, Phil has seen his own shadow 103 times and saw no shadow 18 times between 1887 and 2017.